Three Sink Unit, Size: 72" X 28" X 34 X 6"
थ्री सिंक यूनिट, साइज़: 72 "X 28" X 34 X 6 "
Size: 72" X 28" X 34 X 6"
We offer commercial kitchen sink that is essential part of every modern and commercial kitchen. It has a stainless steel construction, which ensures its durability and corrosion resistance. 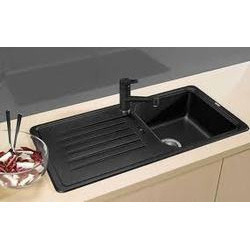 The commercial kitchen sink has a chair-type design, which means that users can easily wash various kitchen utensils while standing. How it's made -steel handmade kitchen sink - cutting,puching,forming,welding,polishing. 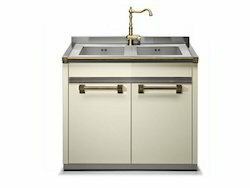 As per the needs and requirements of our clients, we are involved in providing 3 Sink Washing Unit.